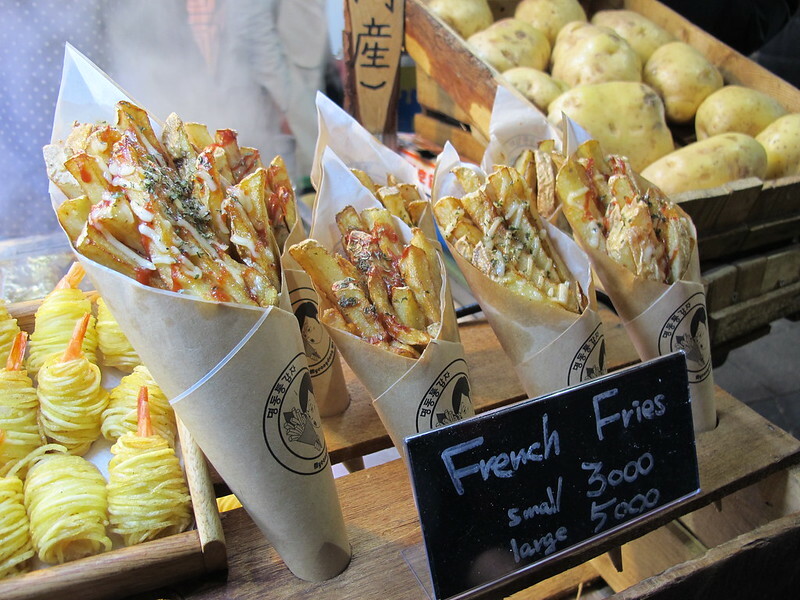 Another day in Seoul means another day of eating. 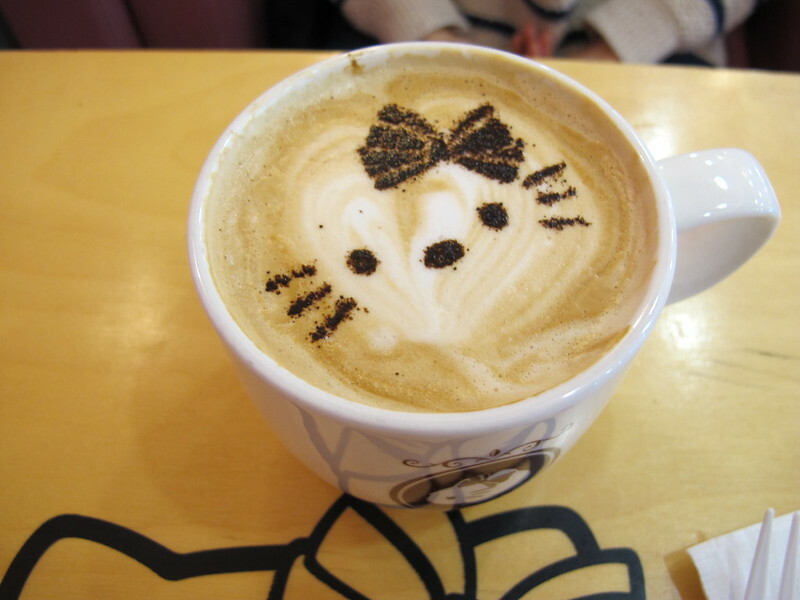 After Carmen got off from work, we went to the Hello Kitty Cafe for afternoon tea. 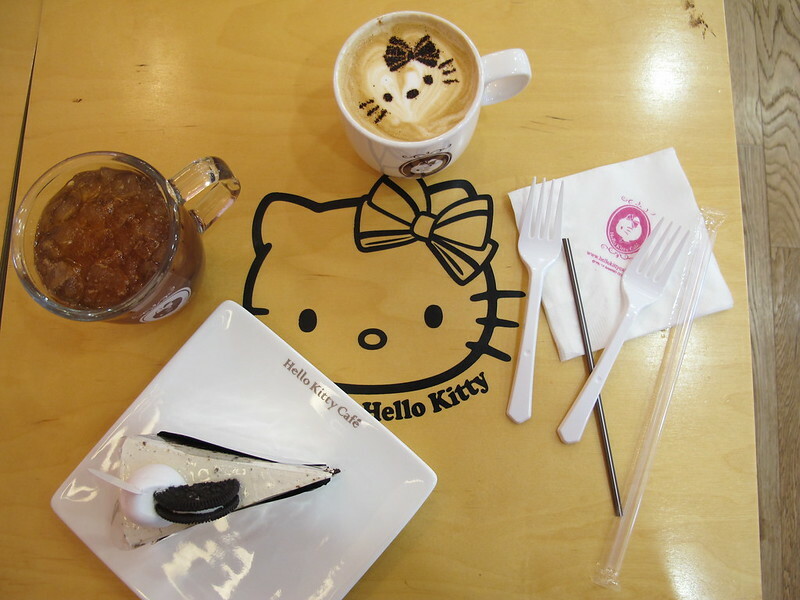 I was in Hello Kitty heaven (squeals)! 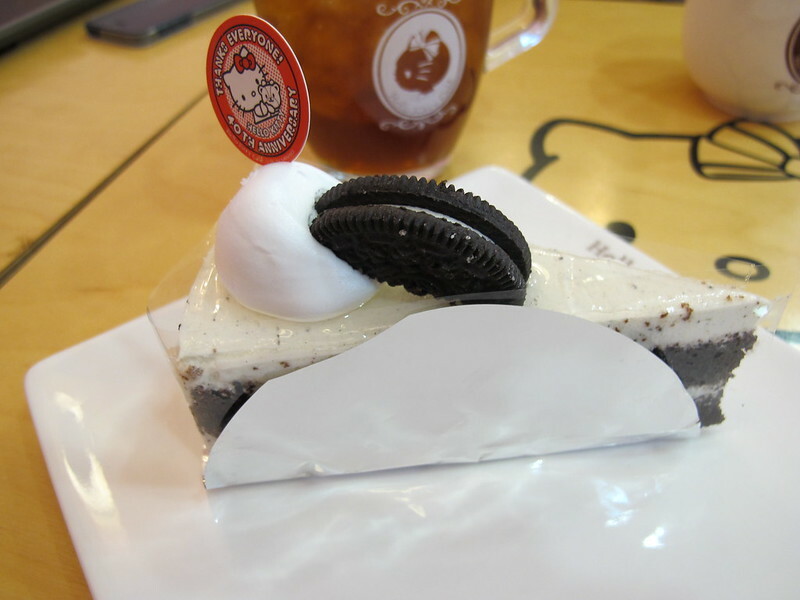 Carmen had a latte, I had a cold tea and we shared a slice of Oreo cake (I should attempt to recreate the Oreo cake, I’m not usually a big fan but it was delicious for my first try). 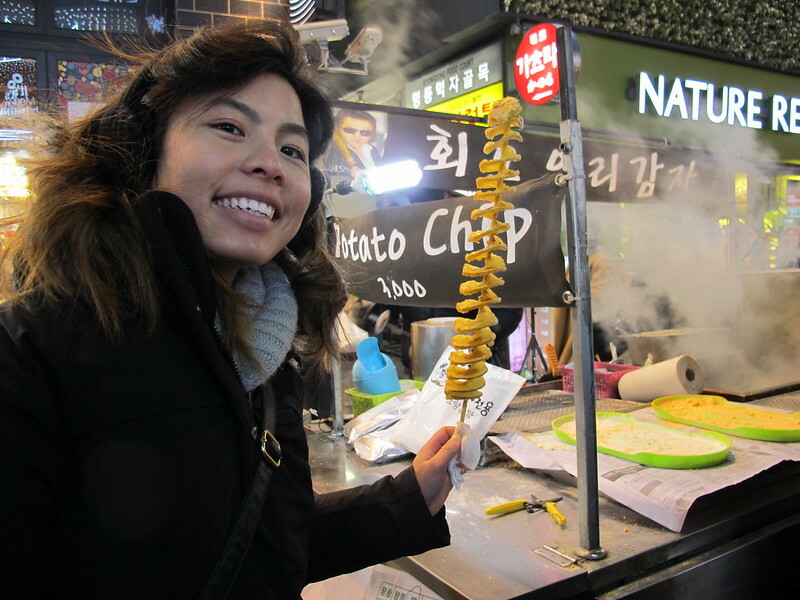 After spending hours waiting in line to go up the Seoul Tower, we headed back to Myeongdong main street for some bubble tea and street food (that was our dinner). 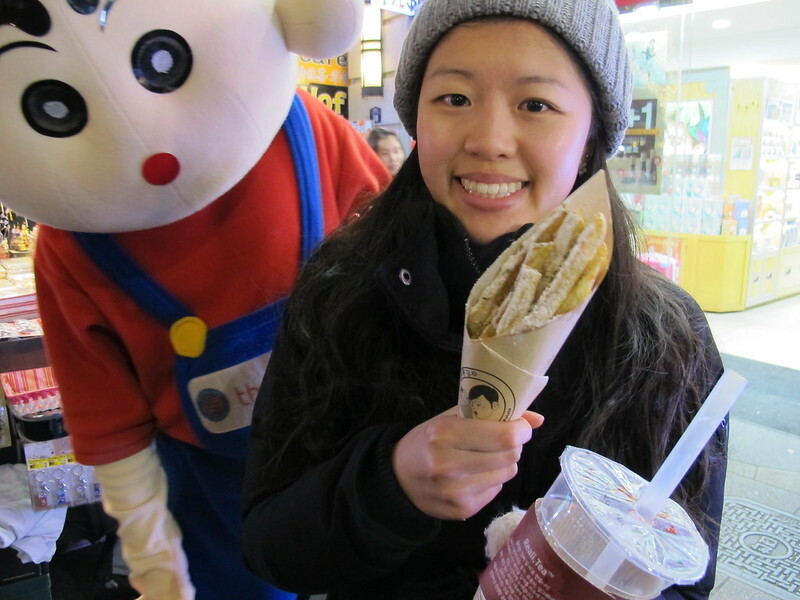 Carmen was photobombed (classic!). I can’t stop laughing about this. Please ignore the hair in the next photo. Carmen didn’t warn me that my hair was wack, it was windy that night (as you might have noticed!). 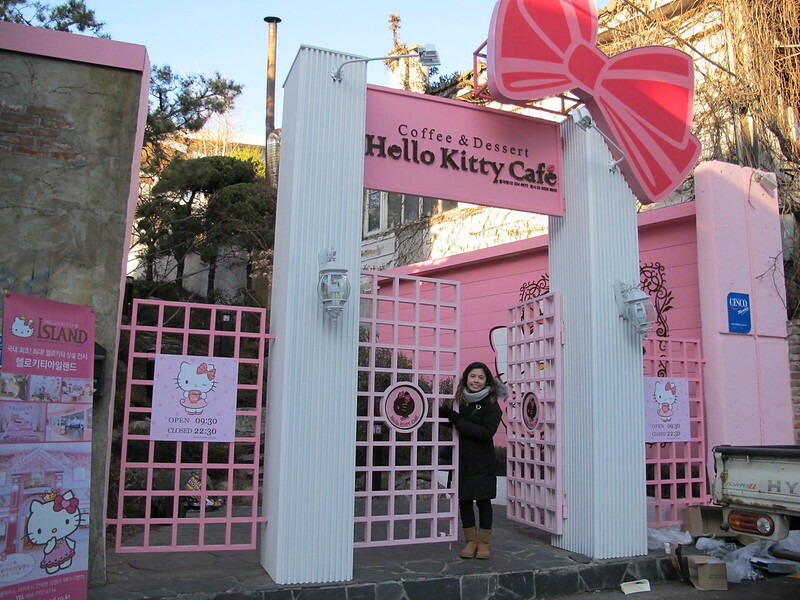 Click here to check out my other photos from the Hello Kitty Cafe and the view from Seoul Tower. P.S. 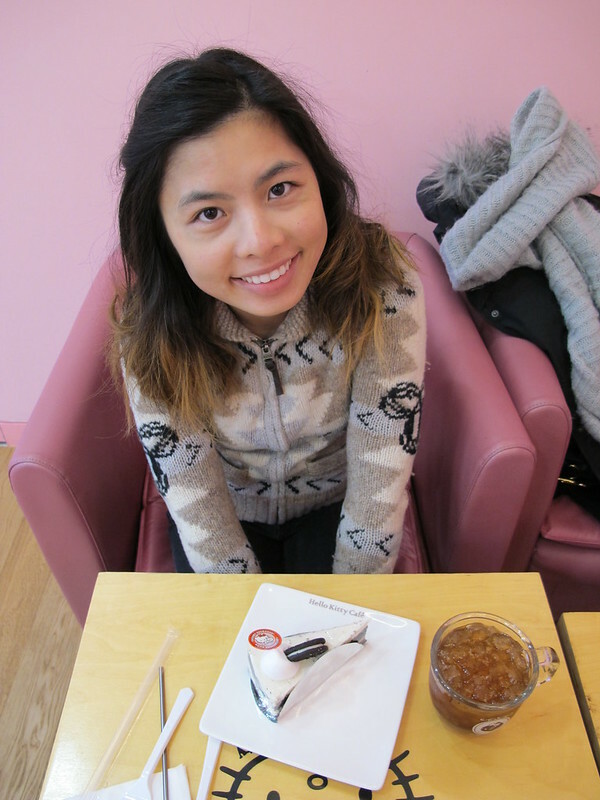 Click here to check out Carmen’s (Seoul) travel blog.